OK, maybe if we shot the freak, but other than that, I think we nailed it. We walked into Totonno’s around 1:00 and sat right down. I went around snapping photos, but they don’t care who you are if you don’t have a food show, they get people like me chronicling their pizza pilgrimages twenty times a Saturday. 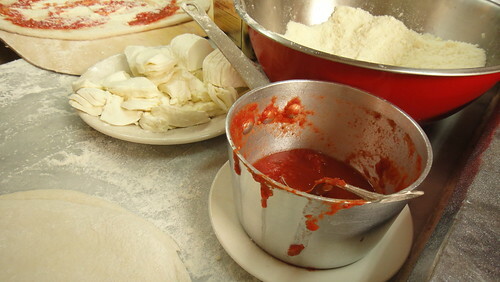 The only things you need for existence: Mutz, Dough, Tomato Sauce. The Italians know this well. There’s one guy making pizzas here – tremendously ineffective, but that’s how these old places do it. I don’t know why one guy can’t teach someone else how to do it. There’s a certain amount of skill involved, but nothing that would take more than a year to train someone willing. That being said, this guy makes an amazing pie. 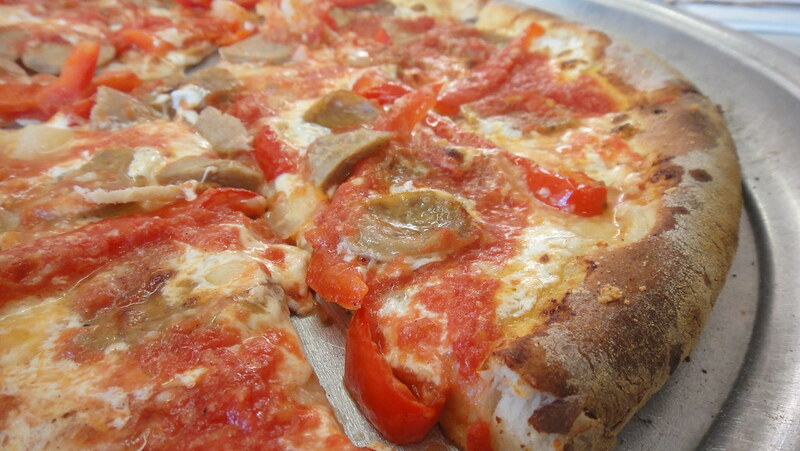 We got a Red Pepper & Sausage Pizza. My dad’s favorite pizza is a sausage, green pepper, and onion pizza. It’s a pretty good combo, but our man making the pizza chose the toppings for us today, so we went onionless. 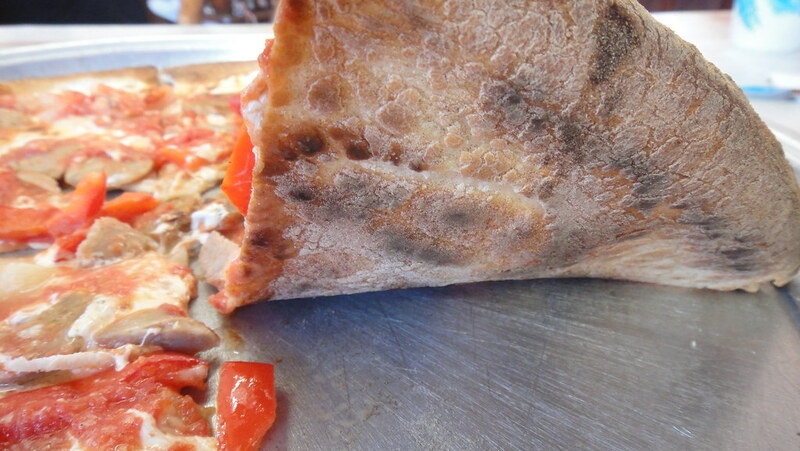 I am writing about Totonno’s and thinking about Al Forno in Providence, one of my top ten pizza experiences of my life, and trying to see where this fits in. I think it actually might be top five… Let’s see. 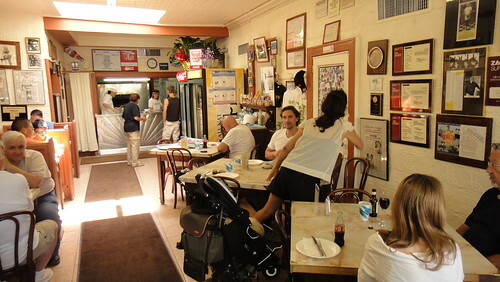 Totonno’s might be #11. Quality ingredients, careful preparation, great taste, interesting atmosphere. A total experience matched by none I’ve had in NYC, but the pie is just not there with the big guns of the NYC pizza scene. Worth the trip to check it out, but not worth a second like Di Fara or Grimaldi’s. wait.. what/where was Antonio’s in Utica? Not sure how this is possible but I can’t seem to remember it..! ?